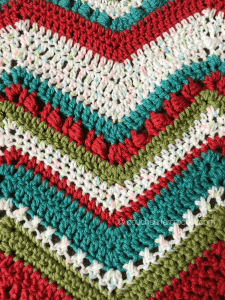 Welcome back to the Changing Chevrons Crochet Along! 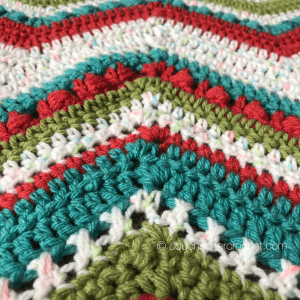 This blanket pattern has been so much fun to create. We are now on Week 4, which means we are now halfway done!! 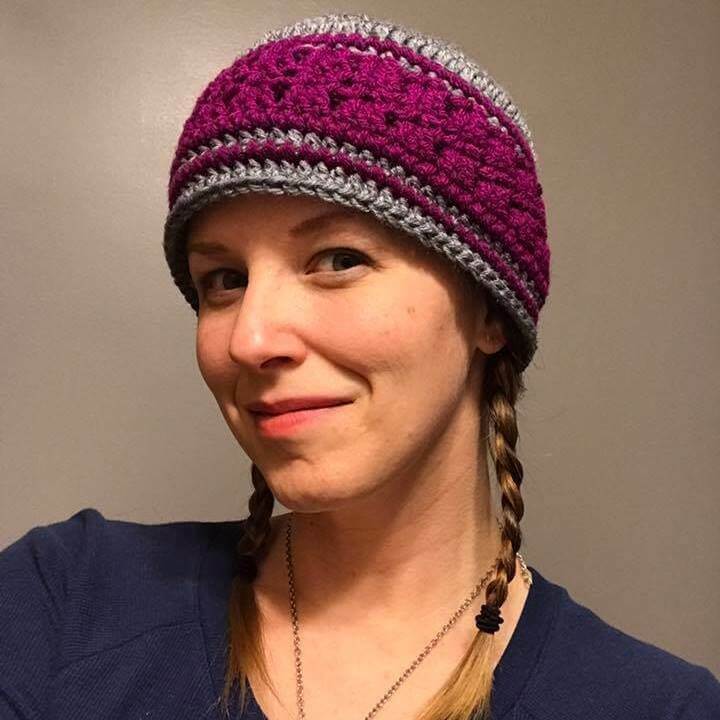 It’s been so cool to see all your versions of this pattern! This week we will be doing Rows 40 – 52. 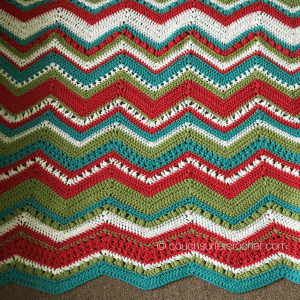 If you’d like to see different variations of this blanket, join me in the Couch Surfer Crocheters Facebook group. Members there are sharing their creations as we go, and it so cool to see so many different color combinations for this pattern! This week’s section is from the white “criss crosses” at the bottom, to the thick white stripe (3 rows of herringbone) at the top! The next 3 rows are the “Herringbone Stitch.” (hbdc in pattern) — see Special Stitches page for a video link. This finishes Week 4! Week 5 will go up on May 21st! 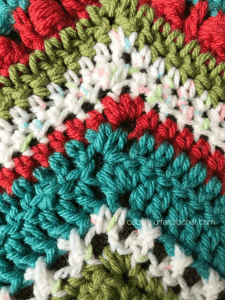 Follow my blog with BloglovinI hope you all are having fun with this crochet along pattern. It is a joy to create and to share these ideas with all of you! I would love to see your progress and finished pieces. Half the joy of creating is sharing it! 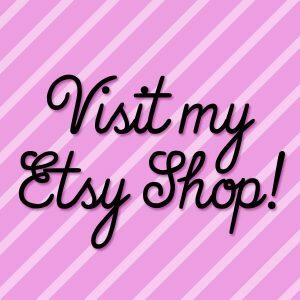 You can post your work here in the comments, on my Facebook page, or you can join the Couch Surfer Crocheters FB Group!